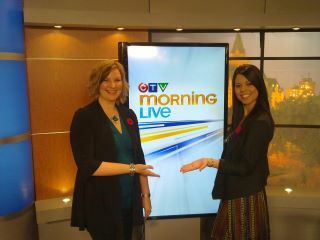 I enjoyed my first appearance on CTV Morning Live this morning, and it looks like it may not be my last. 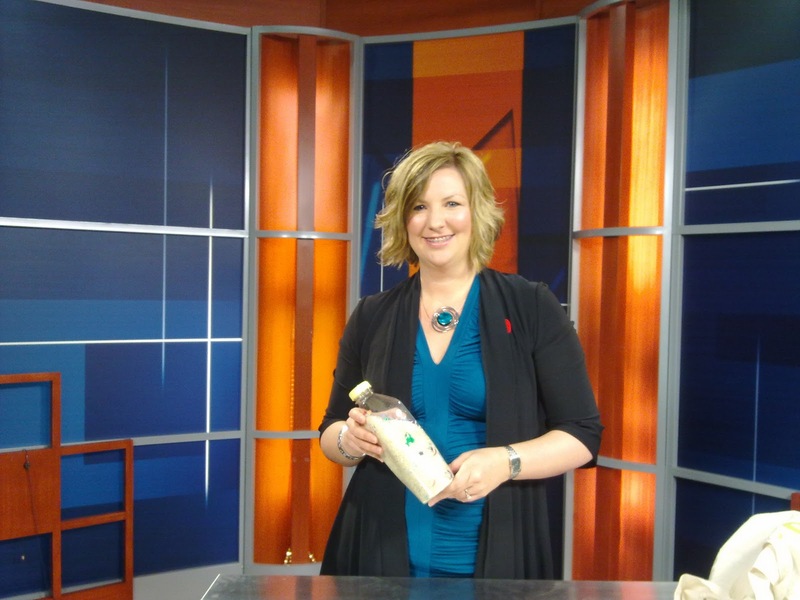 Co-Anchor Veronica Jubinville interviewed me during two four-minute segments about things to do with your kids in Saskatoon now that the weather has turned colder. I talked briefly about how to keep our children safe in the winter months while we're out and about. All heavy layers go outside of the five-point harness of a car seat. Bulky coats can create dangerous space between the car seat and the child. To do a quick test, do up the car seat with your child's coat on. Open the straps without loosening them, remove the coat and then click the straps back into place. If there is more than two fingers width between the strap and the collar bone, the child is at risk for injury, and even ejection, in the event of an accident. Last, but not least, we talked about indoor activities that parents and caregivers can create and play with children when they must be inside. 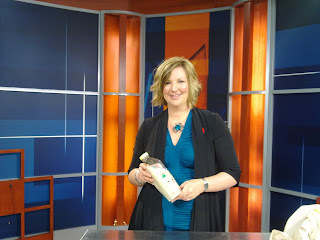 I demonstrated how to make a Treasure Hunt in a Bottle, with rice and trinkets inside a clear plastic bottle. Later this afternoon, the producer suggested I return for another time slot on Nov. 24. I'm thrilled by this, as I feel I would have a lot more information to share. I'm very thankful for this opportunity.